Allen Tate's newest tool is taking off! 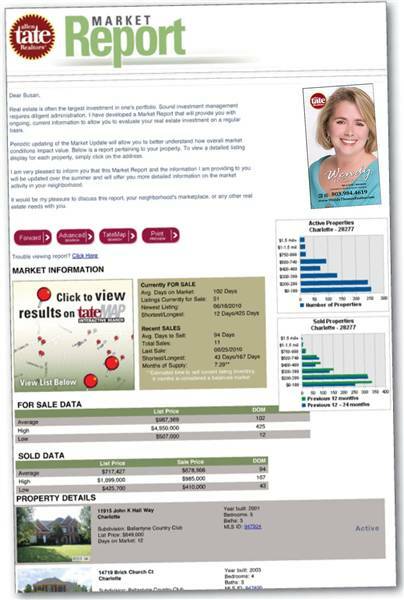 When I set you up to receive the Market Report email, you'll get a personalized email once a month, showing you the current listings that compare to your house, as well as recent sales that are comparable. What this means to you is that whether you are thinking of selling, currently on the market, or just want to keep up with what's going on, you'll have a monthly update of how the market is doing, specifically as it relates to you! If you want to start receiving this information, please email me, and I'll set it up!